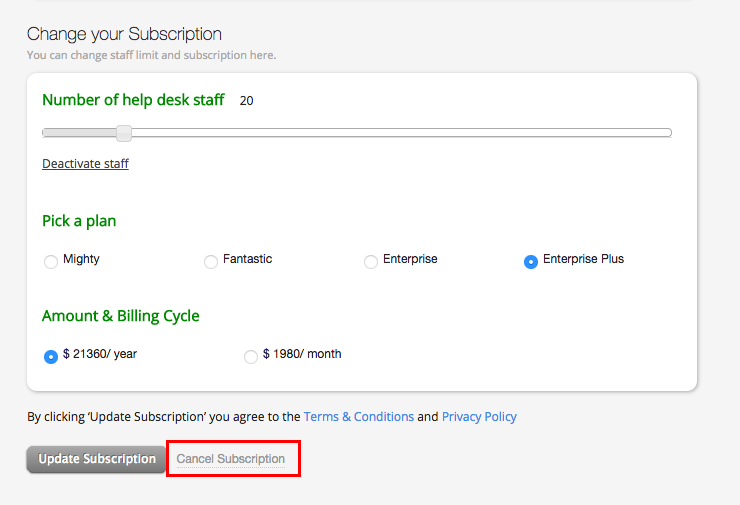 Account admins can navigate to Billing page and click on “Cancel Subscription” link under the “Change your subscription” section to request for account cancellation. Note: Only account admins can view the “Cancel subscription” option. Clicking on “Cancel subscription” will prompt you with a cancellation survey which would help us understand your concerns better. On successful survey submission, a ticket gets created for the cancellation request and one of our team member will contact you and take it forward.